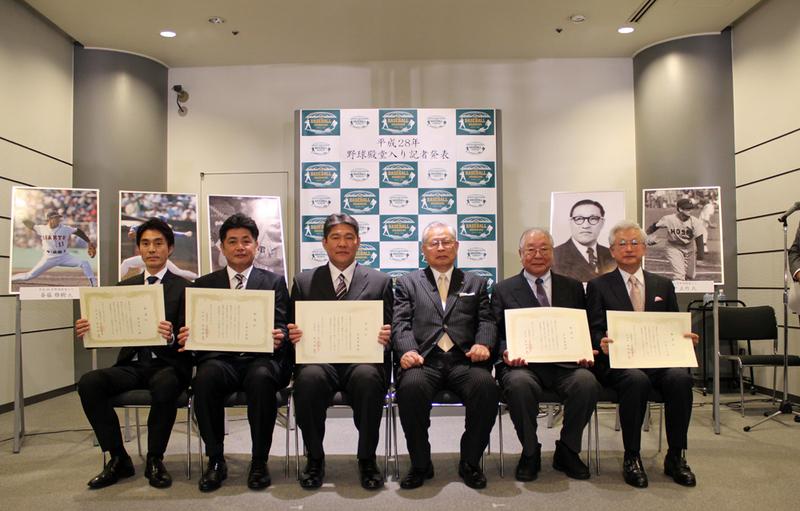 Japan’s Baseball Hall of Fame and Museum announced on January 18, 2016 that Takizo Matsumoto (1901–1958), a former member of the House of the Representatives, and Masatake Yamanaka (68), who was the manager for the Japan’s national team, were chosen by the Special Selection Committee along with three other members of professional players’ category as the Hall’s class of 2016. At the award ceremony, he said that his election would hopefully serve as an added momentum to the ongoing drive to bring baseball and softball back to Tokyo Olympic in 2020. In professional baseball category, Masaki Saito and Kimiyasu Kudo, a pair of former MVP hurlers were voted into the Hall of Fame. Two-time batting champion Kihachi Enomoto was selected by the Expert Selection Committee. Enomoto, who died four years ago, amassed 2,314 hits in his pro career and the youngest hitter to have reached 2,000 hits, achieving the milestone at 31 years, 7 months.